Yet if anyone suffers as a Christian, let him not be ashamed, but let him glorify God in that name. 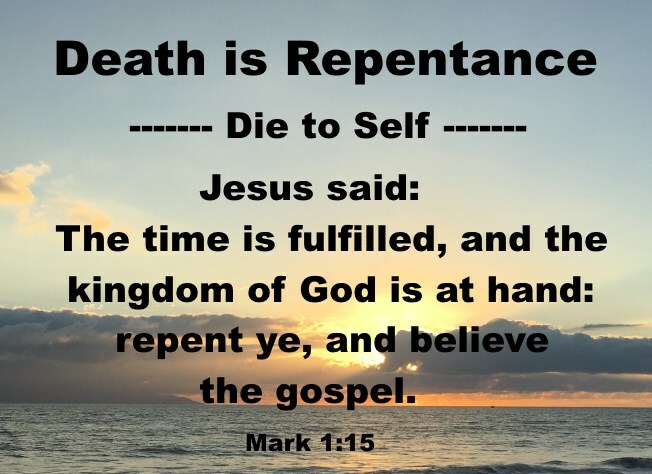 For it is time for judgment to begin at the household of God; and if it begins with us, what will be the outcome for those who do not obey the gospel of God? And “If the righteous is scarcely saved, what will become of the ungodly and the sinner?” (1 Peter 4:16-18 ESV). Clearly, Peter is saying we all need to obey the Gospel of Jesus Christ. How do we Obey the Gospel? Thus far in this study, we have learned what the Gospel is, and that we must obey it to spend eternity with Christ. So how do we do this? 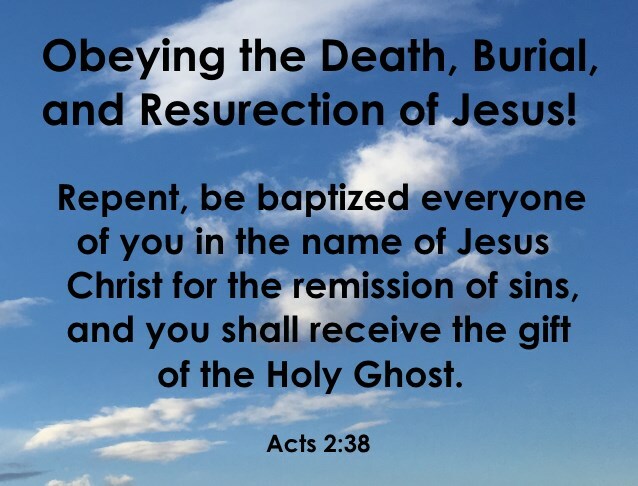 Repent, be baptized everyone of you in the name of Jesus Christ for the remission of sins, and you shall receive the gift of the Holy Ghost (Acts 2:38). 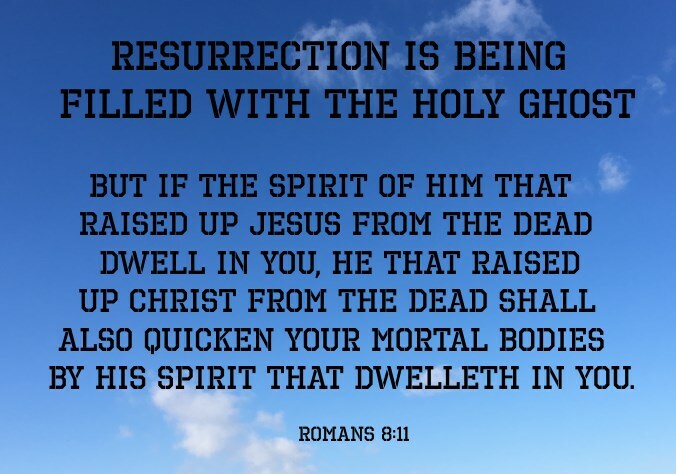 Resurrection is being filled with the Holy Ghost. 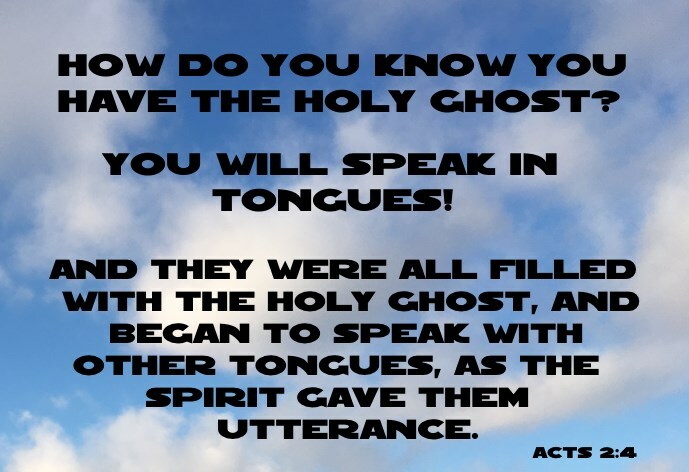 and did not happen until the outpouring of the Holy Ghost in Acts 2:1-4. And, being assembled together with them, commanded them that they should not depart from Jerusalem, but wait for the promise of the Father, which, saith he, ye have heard of me. For John truly baptized with water; but ye shall be baptized with the Holy Ghost not many days hence (Acts 1:4-5). 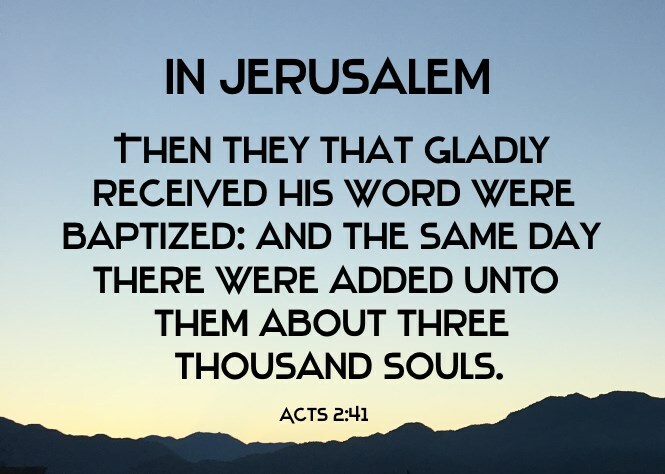 After the persecution of the church (Acts 8:1-4), the Disciples of Christ "were scattered abroad went everywhere preaching the word" (Acts 8:5). 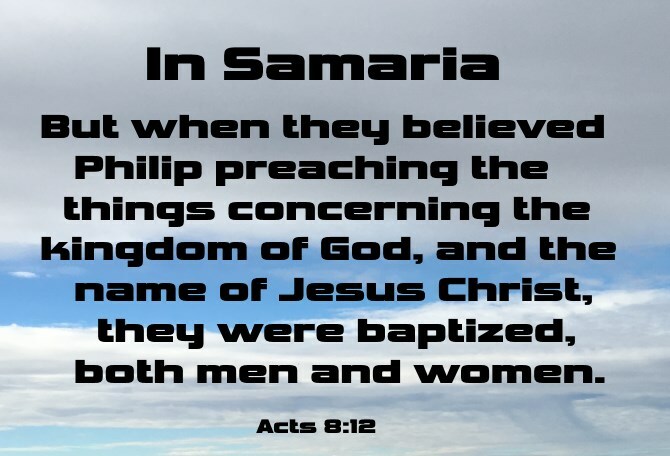 Philip went to the city of Samaria, and preached Christ unto them (Acts 8:6). 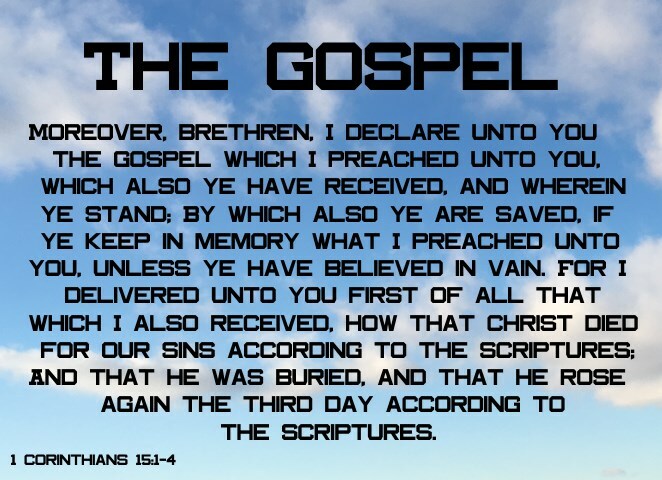 Obeying the gospel of Jesus Christ was preached by all of the Lord's disciples. While Peter was still saying these things, the Holy Spirit fell on all who heard the word. 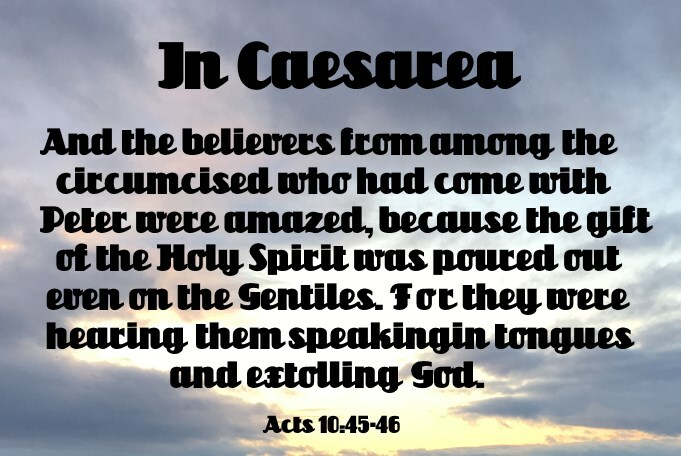 And the believers from among the circumcised who had come with Peter were amazed, because the gift of the Holy Spirit was poured out even on the Gentiles. For they were hearing them speaking in tongues and extolling God. 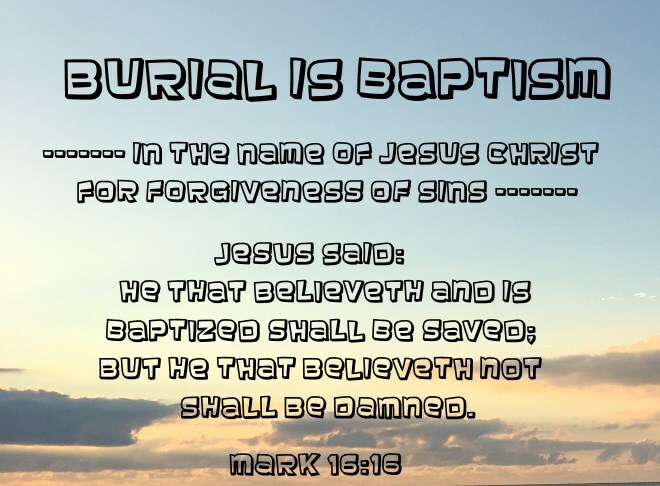 Then Peter declared, “Can anyone withhold water for baptizing these people, who have received the Holy Spirit just as we have?” And he commanded them to be baptized in the name of Jesus Christ. Then they asked him to remain for some days (Acts 10:44-48). Obeying the gospel is exactly what Cornelius and his household did! And it happened that while Apollos was at Corinth, Paul passed through the inland country and came to Ephesus. There he found some disciples. And he said to them, “Did you receive the Holy Spirit when you believed?” And they said, “No, we have not even heard that there is a Holy Spirit.” And he said, “Into what then were you baptized?” They said, “Into John's baptism.” And Paul said, “John baptized with the baptism of repentance, telling the people to believe in the one who was to come after him, that is, Jesus.” On hearing this, they were baptized in the name of the Lord Jesus. 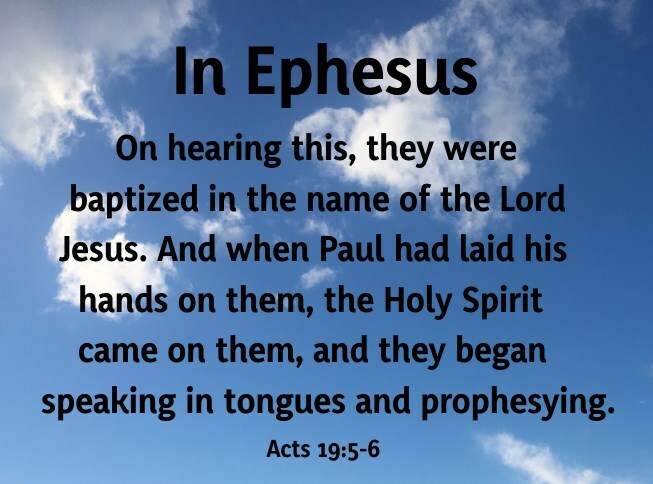 And when Paul had laid his hands on them, the Holy Spirit came on them, and they began speaking in tongues and prophesying. There were about twelve men in all (Acts 19:1-7).